Tranzfuser, the graduate talent development competition from UK Games Talent and Finance CIC (UKGTF) and funded by the UK government, has today launched the call for applications to this year’s competition. 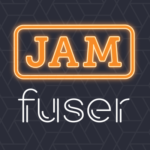 Building on the success of Jamfuser, UKGTF’s first ever game jam, participating teams are encouraged to invest the learning and skills developed over the duration of the jam to hone and shape their application to this year’s competition. With 32 teams having participated in the game jam, it is hoped that the number of applicants to this year’s Tranzfuser competition will be directly affected. 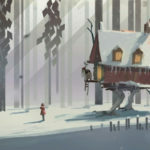 “We want to build a generation of creative entrepreneurs by nurturing the aspiring video game talent we have in the UK. Through Tranzfuser, the Government is supporting the industry’s next leaders, helping graduates hone the skills that are essential to the success of start-up companies. 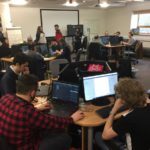 The UKGTF community of funded companies and supported teams is now well in excess of 100, giving this year’s Tranzfuser teams the unique opportunity to be affiliated to some of the best and most promising independent games development talent the UK has to offer. “Our cohort of Local Hubs for this year’s competition is yet again a geographically diverse network of enthusiastic and supportive centres for our teams to work with. Successful applicants will develop their ideas into working prototypes over the summer in a competition that culminates in a nationally recognised showcase event. All applicants are required to read the Competition Information page of the Tranzfuser website before submitting an application. Successful applicants will be awarded a cash prize paid in stages to replicate the real world of games development. 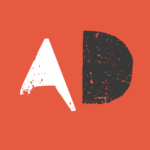 At the showcase event later this year, selected teams will be invited to pitch for follow-on funding of up to £25k from the UK Games Fund (also operated by UKGTF) to commercialise their game and launch a company. The deadline for submission of applications is Monday 22nd April, 12 noon. To find out more about the 2019 Tranzfuser competition, including How to Apply, visit the Tranzfuser site. Follow the progress of the Tranzfuser Teams via our Facebook page. Follow @Tranzfuser for the latest information about Tranzfuser.